Tickets on Sale Now for Mickey’s Not-So-Scary Halloween Party! 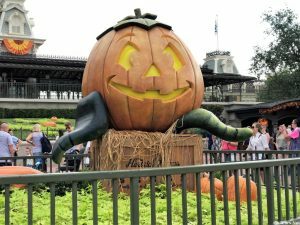 Tickets for this year's Mickey's Not-So-Scary Halloween Party in Walt Disney World's Magic Kingdom have gone on sale this morning! Learn about the dates of this year's party, prices, and how to get your tickets now! My family has attended Mickey&apos;s Not So Scary Halloween Party every year for almost a decade, and although we have tweaked our touring plan for the evening as changes to the party come and go, it essentially remains the same. Here, I offer our tried-and-true strategies for maximizing fun for young kids during this year&apos;s five-hour party. 2012 Mickey’s Not So Scary Halloween Party – What’s new and different!